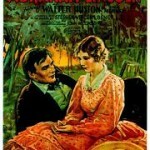 In 1831, Abraham Lincoln (Raymond Massey) leaves his family to become a clerk in a store in New Salem, Illinois where he falls in love with local beauty Ann Rutledge (Mary Howard), even though she is already engaged. When the owner leaves him the store and its debts, Lincoln’s friends arrange for him to be appointed postmaster. Determined to improve himself, he spends each evening studying. Impressed by his diligence, the leading men in town persuade Lincoln to run for the state legislature in 1835, despite his deep-rooted reluctance to become involved in politics. When it becomes clear that Ann’s fiance has ended their engagement, Lincoln commences his courtship, so her sudden death breaks his heart. After serving a single term in the state legislature, Lincoln becomes a lawyer in Springfield. Moving up in society, he meets Mary Todd (Ruth Gordon), a member of a rich, prestigious family, who thinks that Lincoln has great potential as a politician. Deeply in love with Mary but frightened by her ambition, Lincoln is torn by indecision. Unable to live without her, Lincoln marries Mary and then wins election to Congress, while the debate over slavery threatens to consume the nation. Pressed by Mary, Lincoln challenges Senator Stephen Douglas (Gene Lockhart) for his seat, and they have a series of debates over slavery. Receiving national attention, he attracts the interest of senior members of the Republican party who need a compromise candidate to unify the party. 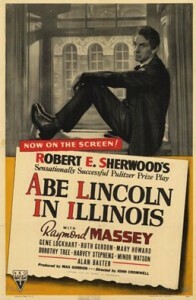 The film does present numerous incidents from Lincoln’s life. He first saw New Salem while helping to transport hogs for sale in New Orleans. Elected captain of his company during the Black Hawk War (1832), he did forget how to order them to march single-file through a gate in a fence. In the movie, his first employer leaves him debts, but actually Lincoln and his partner bought and stocked their store on credit. Unfortunately, the store failed and his partner died, leaving him responsible for the full debt. Even the fight with local tough Jack Armstrong took place, although Ann Rutledge was not the cause. The idea that Ann Rutledge was the love of Lincoln’s life is on shaky ground, but it is a popular theory. Ann waited several years for her fiance John MacNamar (changed to MacNeil in the film) to return, and as postmaster, Lincoln knew that he had stopped sending letters. It is possible that they had an informal agreement but there was no official engagement, which is understandable since he was poor and burdened with a crushing debt. While Ann did die of a brain fever, her death occurred almost a year after he had won his first election, not on the night of the election. It seems unlikely that Lincoln fell instantly in love with her when he arrived in New Salem, since she was a school girl at the time. There is no denying that the two were close, since he plunged into a deep depression when she died. To be honest, there is no proof either way. The script gets Lincoln’s style right, but not his motives. The screen Lincoln’s hatred of politics is fundamentally wrong. An ambitious man, Lincoln was well-aware that a political career was the fastest route to social mobility at the time. In fact, he had already lost his first election for state legislator before he became postmaster. While Lincoln did suffer periods of deep depression, the hatred of Mary’s ambition is entirely fictional. Their engagement was broken off because of her relatives’ disapproval, not because he wanted to be left in peace. Unlike the screen version, Mary’s brother-in-law Ninian Edwards was not enthusiastic about the prospect of poor, unrefined Lincoln as a member of the family. Having spent most of the film on Lincoln’s romances, there is little time left for the political issues that threatened the continued existence of the Union. An extremely brief montage presents the Dred Scott Decision (1857), which stated that Americans of African heritage were not United States citizens and therefore not protected by the Constitution; Bleeding Kansas (1854-1859), the armed struggle between pro and anti-slavery settlers for control of Kansas Territory; and abolitionist zealot John Brown’s attempt to start a slave uprising at Harper’s Ferry, Virginia (1859), but there is no explanation of why these events mattered. What is especially frustrating is that Mary was an outspoken woman who refused to be a demure, adornment for social functions, and she shared Lincoln’s political sympathies. In fact, politics was probably the only topic where Lincoln could actually hold up his end of the conversation, otherwise she did all of the talking, so scenes of the couple discussing politics would have both informed the viewer of the fierce debate over slavery and made it easier to understand their relationship. Written as an unsympathetic character, the fictional Mary is painful to watch. While the real Mary was famous for hysterical temper tantrums, especially following the death of their son Willie, the explosions were infrequent and the couple was happy. Although presented as friendly rivals, Lincoln and Douglas genuinely detested each other. Furthermore, Gene Lockhart is just not strong enough for the role, the real man’s rage and aggression were so intense that he was nicknamed the “Little Giant” because of the contrast between his height and his overwhelming power as a debater. 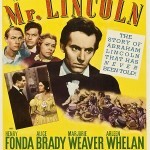 However, the debate between Lincoln and Douglas during the senate race is the highlight of the film. Based on a series of seven debates between the two candidates, the debate scenes capture the key difference between the two men. Douglas emphasized states’ rights but Lincoln believed in a federal union. The fictional Douglas rejects racial equality but the script ignores the real man’s statement that the constitution was for white men, by white men. 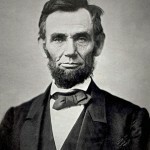 Lincoln admits that he does not consider Negroes to be equal to him, but they do not deserve to be slaves, ending with the phrase “A house divided against itself can not stand,” meaning a nation can not be half-slave and half-free. Although the script fails to mention that Lincoln lost the election, it is a minor quibble. The decision to skip over both the Republican convention, where Lincoln’s team skillfully out-manuvered the other candidates to ensure the selection of Lincoln as a compromise candidate, and the election itself, is harder to defend, and reflects the focus on Lincoln the man who sought love and happiness, rather than Lincoln the politician. This is a key issue, since the real Lincoln had been struggling to position himself as the leading politician in Illinois for over two decades. Even during the lengthy periods where he did not hold public office, he remained active in politics, laboring to ensure the election of his party’s candidates, while continuing to build connections with other factions, both within and outside the state. It is a pity that script misrepresented Lincoln, since Raymond Massey nails Lincoln’s habit of speaking slowly, as well as his friendly nature, and self-depreciating humor. Unbelievably boring, the movie follows the correct sequence of events but drastically changes Lincoln’s character to fit the needs of the script, while its plodding pacing makes watching it an unpleasant experience that should never be repeated. I’ve always found Ruth Gordon’s portrayal of a cold and ambitious Mary Todd Lincoln as incredibly off, along with Lincoln’s lack of ambition. Thank you for reminding me. My pleasure. It was an astonishingly unsympathetic portrayal, but to be honest, almost everything in the movie was bad.